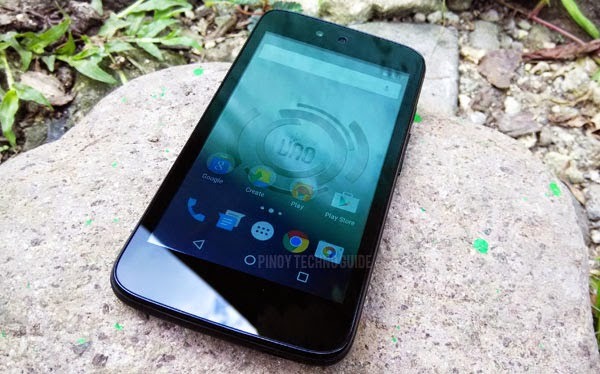 I was very excited when Google launched its Android One program here in the Philippines that I immediately hunted for one of the models announced – the MyPhone Uno. 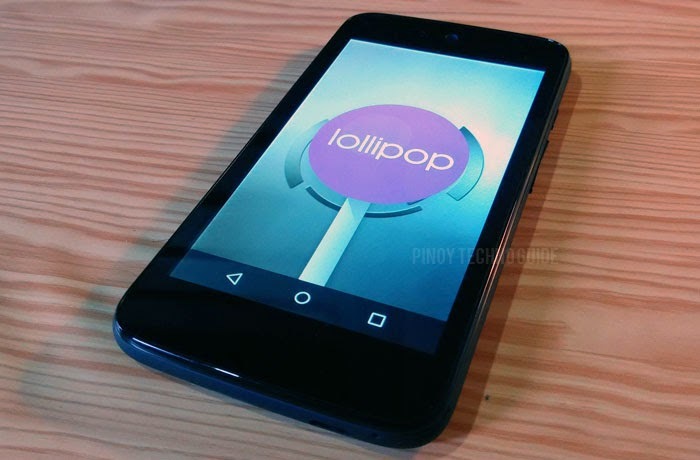 It’s MyPhone’s most exciting smartphone since the Rio of last year because it’s relatively affordable at ₱4,599 but already runs on Android 5.1 Lollipop! MyPhone Uno’s box clearly indicates the freebies inside – an 8GB microSD card and a Globe SIM that gives you 100MB of free internet per month for one year! There are also usual accessories like the charger, microUSB cord and earphones as well as a quick start guide and a warranty certificate. No free screen protector or case is included in the box though. 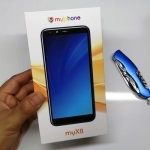 I was pleasantly surprised when I first held the MyPhone Uno in my hands. Its soft back cover is different from the usual plastic back covers of other smartphones and prevents ugly finger prints. The power button and volume rocker are all placed on the right side while the back cover and the corners are subtly curved to provide a comfortable grip. Of course, you won’t miss the large, circular metal plate that houses the camera and LED flash on the back. Its obvious purpose is protecting the camera from scratches but also adds a distinctive look for the MyPhone Uno. The round speakers also add an appeal to the smartphone. At the front is the 4.5-inch screen with a resolution of 480 x 854 Pixels. Coming from an HD smartphone, this one immediately looked not as sharp as what I’m used to but it’s quite alright. 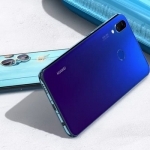 It’s bright enough even under the sun and maintains colors even when viewed at sharp angles. There’s just this weird space below it where capacitive buttons usually reside but with nothing on it since the unit uses on-screen buttons. Overall, the MyPhone Uno feels very solid and well built. It’s very different from what you’ll feel when holding other locally branded smartphones. 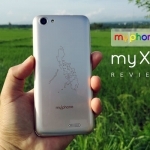 This review won’t be complete without a closer look at the user interface of the MyPhone Uno. 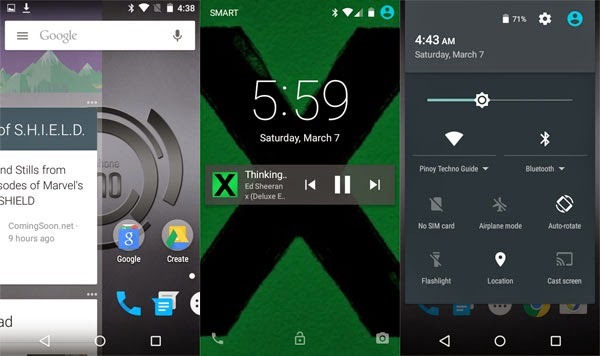 Since it’s already running on Android 5.1 Lollipop, Material Design is all over the place. Everything is smoothly animated! From opening apps to bringing up the settings – everything flows fluidly without lags or stutters. However, there are some things that you have to take note such as the fact that it doesn’t come with a File Explorer so you’ll have to download one from the Playstore. Also, pressing the power button only shows one option – to turn off the smartphone. MyPhone Uno performs a little bit more than what’s expected for a quad core smartphone. 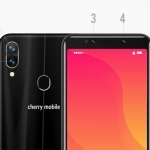 This might be due to the lower resolution and physically smaller screen compared to 5-inch ones. It played a 1080p video smoothly without any stutters while graphics in most games are well rendered. Spending too much time on larger smartphones made me unsatisfied with the small screen though. Still, the MyPhone Uno will show occasional lags when a lot of apps or games are opened and then Wi-Fi or data connection is enabled. Android Lollipop comes with a clean and feature rich SMS app that I don’t think you will look for a replacement like Go SMS or even the sleek Textra. Also, calls are clear using the earpiece although the free earphones are not quite my taste. I’ve been using in-ear earphones for a while now that it lacked the deep bass that Im used to. There’s no problem in terms of signal reception or call quality. I’m also loving the new way that notifications show up on Lollipop both in the status bar and the lockscreen. Despite the small display, I still enjoyed browsing the internet using the MyPhone Uno. Websites and apps that need internet connectivity load smoothly when the smartphone is connected to a Wi-Fi network. Using cellular data isn’t that fast though. I also think that SIM slot number 2 is 2G only since I can’t change the settings that allows it to prefer 3G networks. Bluetooth and GPS works well without a hitch. Between MyPhone Uno and Cherry Mobile One, I obviously chose the first one. This is due to my perceived greater quality of MyPhone’s products compared to Cherry Mobile. However, that’s not always true. Case in point, the cheaper versions of MyPhone Rio. 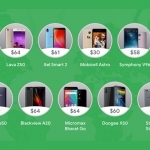 Nevertheless, both Android One smartphones has passed Google’s quality checklist so your choice should depend on the price vs better cameras and more internal storage vs support for moving apps to SD card. Other aspects of these two are almost identical. Whatever your choice may be, I’m sure you’ll find the Android Lollipop experience refreshing compared to previous versions of the OS.